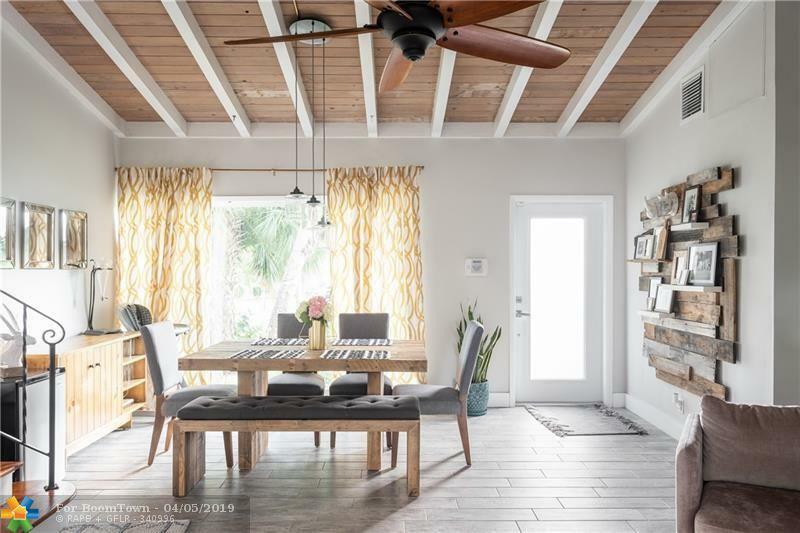 Unique tri-level pool home with exposed wood beam vaulted ceilings located in the historic and centrally located Gill Isles neighborhood of Downtown Fort Lauderdale! 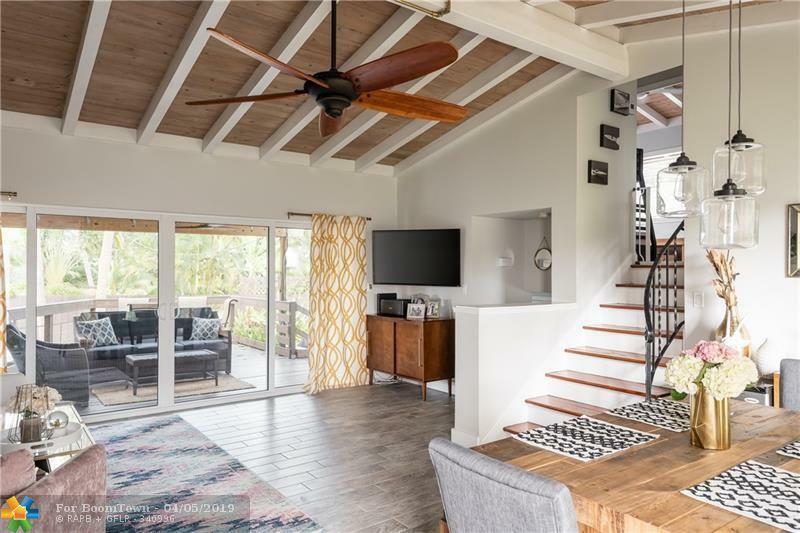 This home has been lovingly cared for by the current owners who recently completed a full master bathroom and closet remodel, as well as partial remodels on the guest bathroom and powder room. Impact windows and doors on the first and second level with thermal windows on the third level which have accordion shutters. 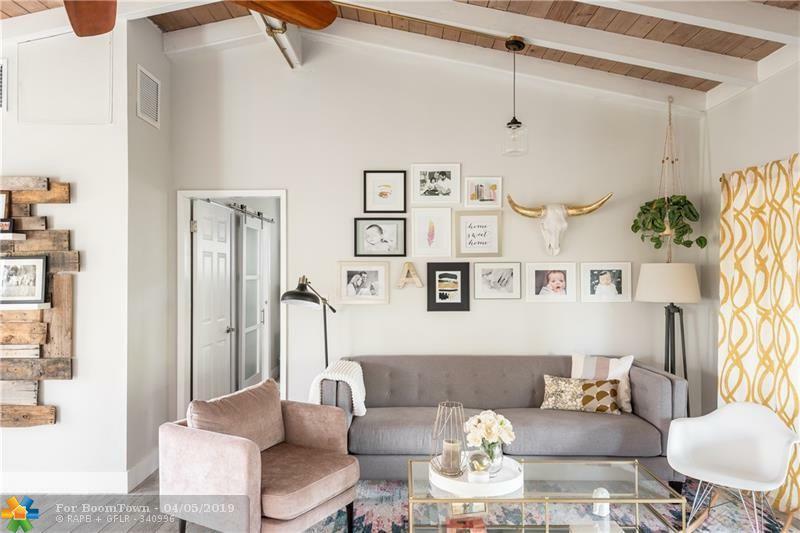 Original wood floors have been beautifully refinished in the upstairs bedrooms, while wood look tile floors recently installed in living room and master bedroom add a contemporary look without losing any of the charm. Huge covered deck and large fenced yard with mature Oak tree are perfect for entertaining. 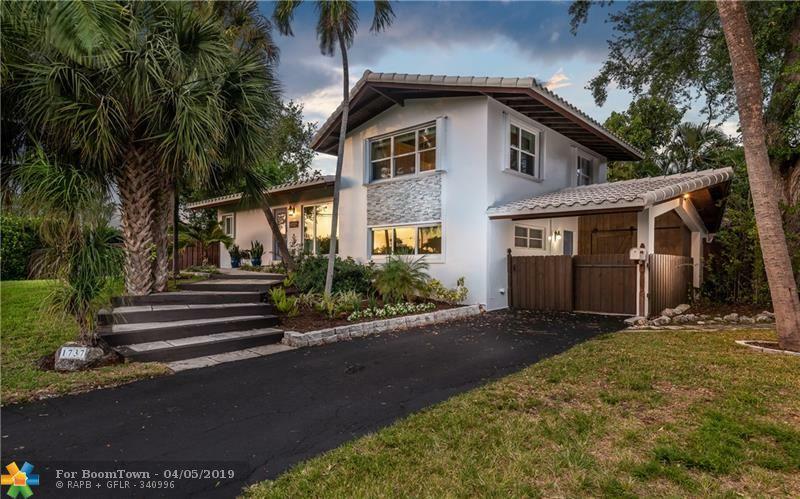 This listing is courtesy of Sterling Teetor Rlty Group Llc.